E-books, social media, pan-Indian translation, and copyright issues are the focus of a new circuit of publishing conferences in India — further proof India’s publishers intend to stay ahead of the curve. NEW DELHI: A little Indian publishing tourism, anyone? Yes, the Frankfurt Book Fair may only be on the horizon and is likely the focus for many Indian publishers, but a sudden spurt of homegrown conferences and events is bound to lead the industry professionals towards interesting directions. Until recently, publishing conferences were few and far in between in India, but the trend that has seen events proliferate across the globe has finally come our way and the four months before the end of the year sees numerous conferences and book fairs on the calendar. The first of these was was the inaugural edition of Publishing Next, organized by self-publishing service provider CinnamonTeal and held in Goa on September 17 and 18. The conference was memorable not only for being the rare event outside Delhi, the so-called hub of Indian publishing, but for its focus on the “future of publishing”. Digital Publishing: Where Is It Headed? The agenda of both conferences had digital publishing at their core. At Publishing Next, it was evident that publishers of India no longer need to be talked into “going digital.” But a clear roadmap seems to be the missing link. For instance, we are not yet going over “how” to go digital and what it would really mean — repurposing content for digital delivery digitally, or the integration of technologies such as XML into the publishing workflow, or both? Should publishers take on technology partners, or should they hire in-house digital teams? Since most publishing houses in India are small, family-held companies, and now operating in a rapidly evolving and sometimes volatile book market, investments in digital programs are still a step away. Companies with bases in the US and UK are at an advantage in this regard, so the pressure on the medium-sized publishers is increasing, which is also coming to them from authors. “Digital publishing” is also on the agenda at GlobaLocal organized by the German Book Office in Delhi for end-November. This year’s edition will centre on “mixturing” of content, with primary emphasis on digital. Next to “digital,” the other theme common to both conferences was policy and law. The Goan conference took a look at the proposed amendments to the copyright law, which has evoked strong protests by publishers. 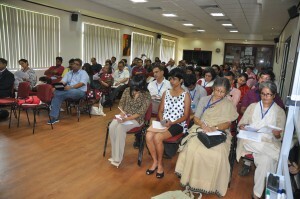 PubliCon in Delhi opened with a panel discussion on the Government’s newly adopted National Book Promotion Policy. It has also identified “Managing IPR” and “Rejuvenation of Libraries” as themes for discussion. Forums such as these could be an excellent opportunity for publishers to become aware of the Indian government’s efforts in promoting books and publishing, especially since there is no single agency that represents publishers in India, affecting the dissemination of such information. At Publishing Next, social media was a popular topic and enthusiastic authors, bloggers and newbie publishers iterated that the world is changing. Armed with the book marketing successes in the West, of Kindle authors and iPad wonders with the help of tweets and status updates, new entrants to publishing have demonstrated first-mover advantage on the social media space in India. Tweet or perish, blog or be ignored were valuable take-aways for some publishers. A workshop that introduced publishers to creating profiles and accounts on Twitter and Facebook, and their relative benefits, gave useful tips to those publishers yet to explore these media platforms. 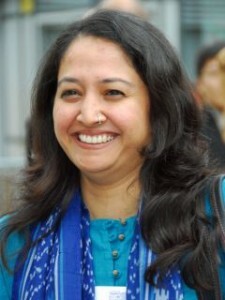 Although opinion continues to be divided on the future of print, the more experienced voices reminded the audience that India exists in many centuries at the same time, and that in several parts of the country there are no classroom and teachers, let alone computers and the internet. Books in printed form are not going away yet, they said. The activist viewpoint cautioned delegates against IPR legislations that could potentially stifle the democratic flow of ideas and knowledge. It was an interesting facet of the Goan conference (and to organizer CinnamonTeal Publishing’s credit) that it brought together diverse practitioners from different parts of the country — engaged with different dimensions of the publishing ecosystem — including authors, translators, booksellers, government representatives, activists, commentators, service providers, creative entrepreneurs, and magazine and online publishers. 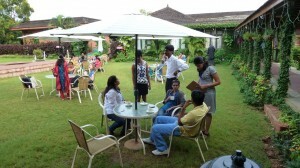 The tropical setting of post-monsoon Goa ensured excellent networking opportunities in the sidelines. Like in rest of the world, book publishers in India too are urgently exploring new markets. In Goa, perhaps also thanks to the diversity of voices that the conference brought together, the untapped translation market in India was identified as an important emerging market. Despite having 23 official languages other than English, pan-Indian languages’ translation segment remains underserved due to a host of reasons. Publishers were introduced to the work of the National Translation Mission, which has been creating resources like dictionaries, directories, registers, and bibliographies, and conducting nation-wide workshops to facilitate a the process of producing quality translators. 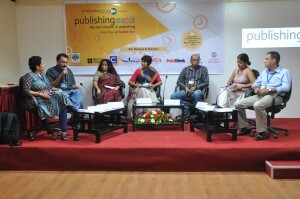 At PubliCon, sessions included one on the potential for Indian publishers in the Comics and Children’s Book Publishing segments. The export potential of the industry was taken up, along with the role of book fairs as platforms for new authors to promote their titles. While conferences are a great place to network, a bulk of the work still remains. India needs a nation-wide census of its book industry, since there is a woeful lack of industry intelligence and analysis. As the industry moves forward, the need for this will only come into sharper focus soon. The next round of events will begin post-Frankfurt, with the first National Book Printer’s Conference will be held in Thiruvanathapuram in mid-November, soon after will be the aforementioned GlobaLocal now in its third year. Three major literary festivals also slotted before the year ends: The ‘Lit for Life’ festival concluded in New Delhi this week; the Kovalam Literary Festival opened in Delhi just yesterday and Kovalam takes place in Kerala this weekend, October 1st–2nd. Finally, the Goa Arts and Literary Festival will be held in mid-December. This trend seems to be just the beginning and getting stronger with an impressive guest list of the who’s who. Dialogues on publishing and books are gathering momentum in India, signaling India’s aspirations to go places in the literary world. Photo Credits: Conference images via CinnamonTeal Publishing. Final outdoor image courtesy of Frederick Noronha. DISCUSS: How Many Publishing Conferences Do You Attend Each Year?